Microsoft Ventures‘ first Seattle Demo Day on Dec. 10 was a huge success. Nearly 400 people crowded into the small venue featuring the ten startups that have been in residence since August 2014. 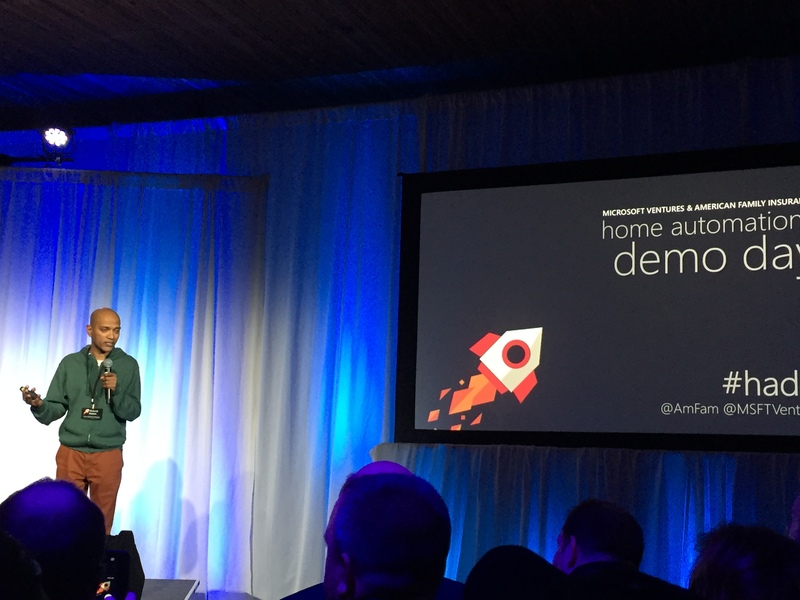 All ten companies have home automation technology as that was the theme for this first round of companies for Microsoft Ventures Seattle, in partnership with American Family Insurance. I led the Marketing Sprint with the ten teams in November, helping them assess their launch readiness in an analytical way and craft compelling messaging. 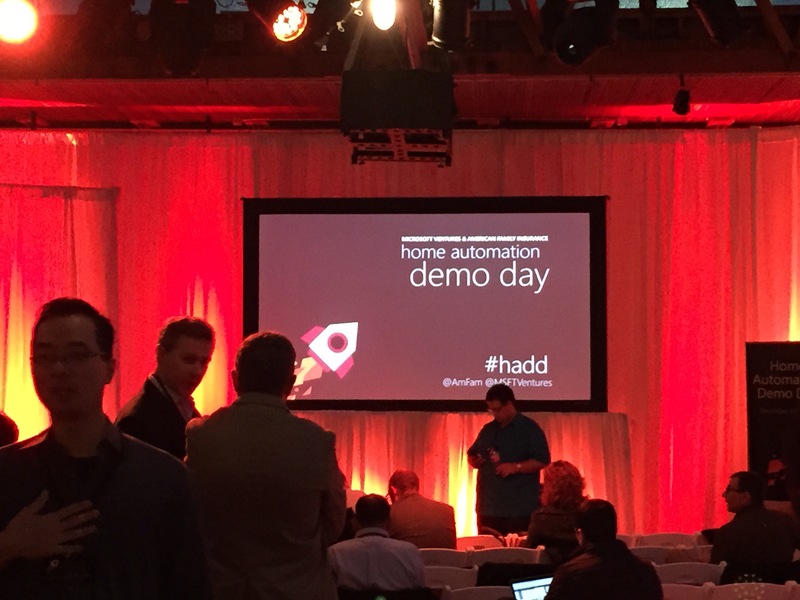 At Demo Day, each company had three to four minutes to pitch their companies to the investors, advisors and supporters in the audience. And I was very proud of how much their messaging and story-telling had evolved since we first met. They all did a phenomenal job with their pitches – so proud! The room was abuzz with conversations and connections following their presentations. 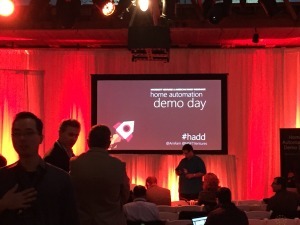 Their technology is amazing and coming to a home near you soon. Many products are available for pre-order or shipping in the first half of 2015. Chai Energy – a very low cost device and app to save hundreds on your energy bill each year. Red Balloon Security – super geeky and cool computer tech called a symbiote out of Columbia University and the U.S. Government that will enable every device from printers to phones to be as secure as your computer is with anti-virus software. Currently this is a massive security risk to enterprises, individuals and governments. Plum – positioned as smart lighting control with the potential to be so much more. Plan “scenes” of lighting for events or moods across your whole home from their high tech light switch or from your phone. From inside your house … or from India. Playtabase/Reemo – this is a fascinating piece of technology. Think of it as a super smart Fitbit watch to remote control your whole house. Use simple gestures to remotely arm your security system, turn off all the lights in your house at night, open the door as you approach with arms full of kids, briefcase and groceries. Whatever will make your life easier, you can do with your Reemo. Heatworks – this is one of those “Why didn’t we do this before?” technologies. Their digital hot water heater gives you endless, instant hot water and saves significant amounts of water and energy in the process. This will be a huge hit with homeowners and builders. The Seattle builder I sat beside was nearly jumping out of her seat during their presentation. Wallflower – another simple, “Why haven’t we done this before?” technologies. This device will eliminate the single biggest cause of home fires: unattended cooking. It will automatically turn off your stove if you leave it on. Sends a message to your phone alerting you of a potentially dangerous situation. You can override if you are baking a cake, or safely shut the stove off from your phone. Simple. Brilliant. Neura – this is a very interesting technology determined to change how we interact with our world. The app learns your patterns and then figures out what you need next. Just got home? You probably need the house lights turned on. Just finished work and haven’t eaten in six hours? You probably need a fast recommendation for a restaurant close by. Best part is, Neura gives you complete control over your data and you can stop sharing it at any time. Sentri – this is a smart hub for the connected home. Beautifully designed to fit into any decor, this device runs your home. It controls temperature, humidity, security and more. It alerts you to unsafe conditions via alerts on your phone. You can even check in on your dog while you are away at work. Novi – is a portable security system designed for any size home, large or tiny. It’s an affordable solution to long-term contracts with security companies and offers a la carte monitoring for when you are out of town. It’s perfect for the mobile renter and for those with very large homes with a lot of entry points to be monitored. 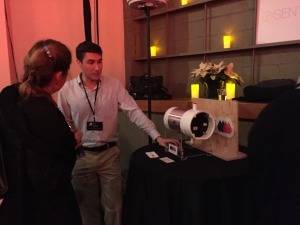 Scanalytics – presence detection technology that can be used in a variety of physical spaces. Particularly great for tradeshows and retail space. One case retail case study showed an increase in sales conversion rate of 90% using their tech. This was the first set of companies incubated in the U.S. 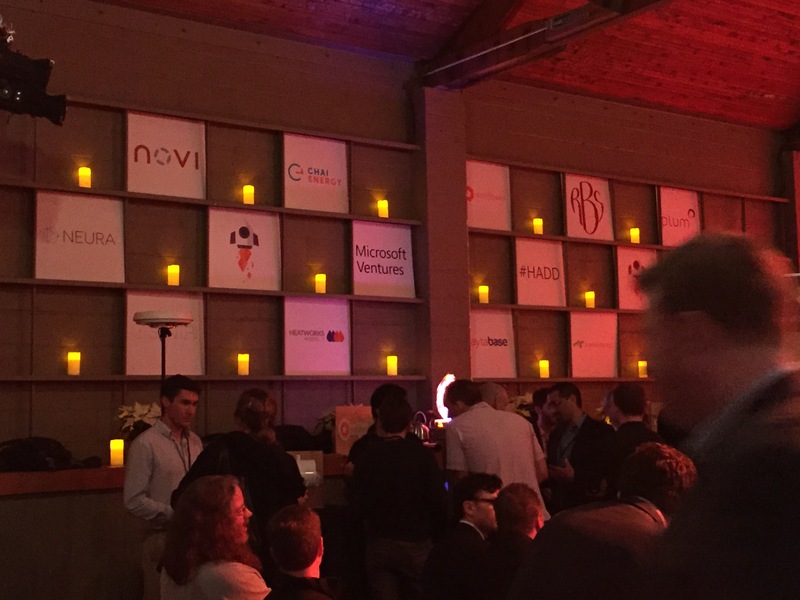 Looking forward to the next round of Microsoft Ventures companies, focused on the enterprise space. If you have a technology that will change the way we work, I highly encourage you to apply! 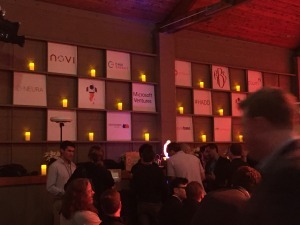 The support and resources Microsoft Ventures supplies to the teams is outstanding. It will definitely get you where you want to be much faster.